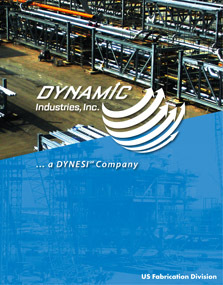 Dynamic is a proven leader in heavy and light fabrication capabilities, from fabrication of offshore jackets, drilling and production decks and associated process modules to onshore process and pipe-rack modules. Our domestic fabrication facilities exceed 200 acres. Covered facility space of approximately 300,000 sf. Barge capacity of up to 10,000 tons can be accommodated at our facilities. 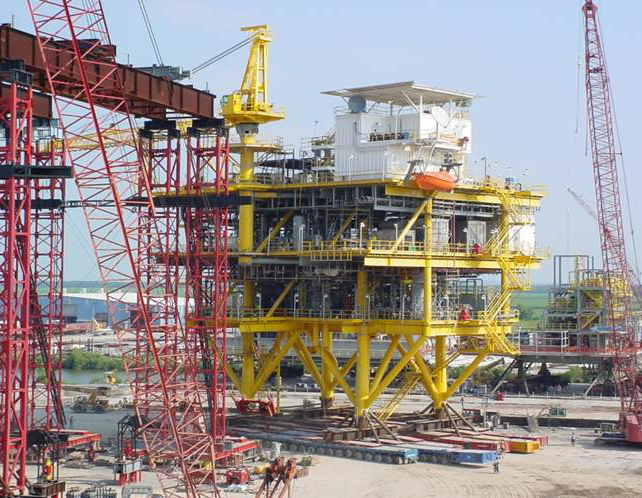 Dynamic has fabricated offshore oil and gas topsides up to 8,500 tons. Dynamic fabricates structures in our Louisiana facilities for installation in the Gulf of Mexico and international locations. Fabrication facilities are utilized in other countries when local content is a requirement or offers a better solution for our clients. Dynamic is positioned to achieve the most demanding project deliverables, safely, on time and under budget. Our fabrication assets and the ability to ship completed projects by water, rail and road enables Dynamic to fully support our clients’ domestic and international projects. Dynamic has been very successful in recent years in modular fabrication and assembly of upstream and downstream process plant and pipe-rack components. 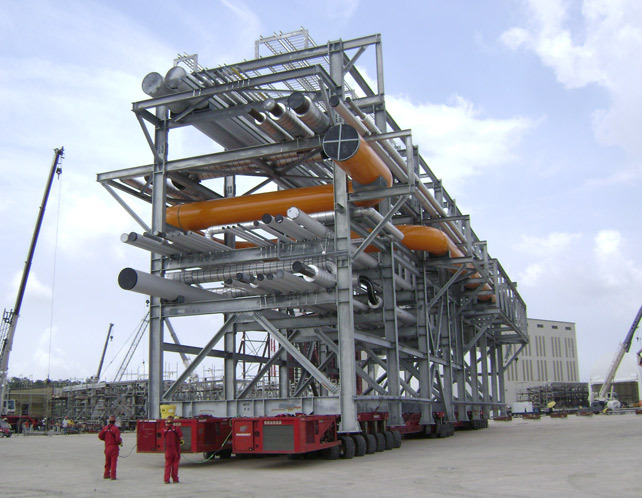 For many process plant projects, modularization can result in improved schedules and safer and more cost-effective construction. Modular fabrication and construction offer a number of advantages over conventional “stick build” construction. Most fabrication and assembly work is performed in our fabrication facilities, allowing the work to be executed under controlled working conditions and built to high standards of quality and dimensional tolerances, while construction at the client site continues, unhindered, simultaneously.